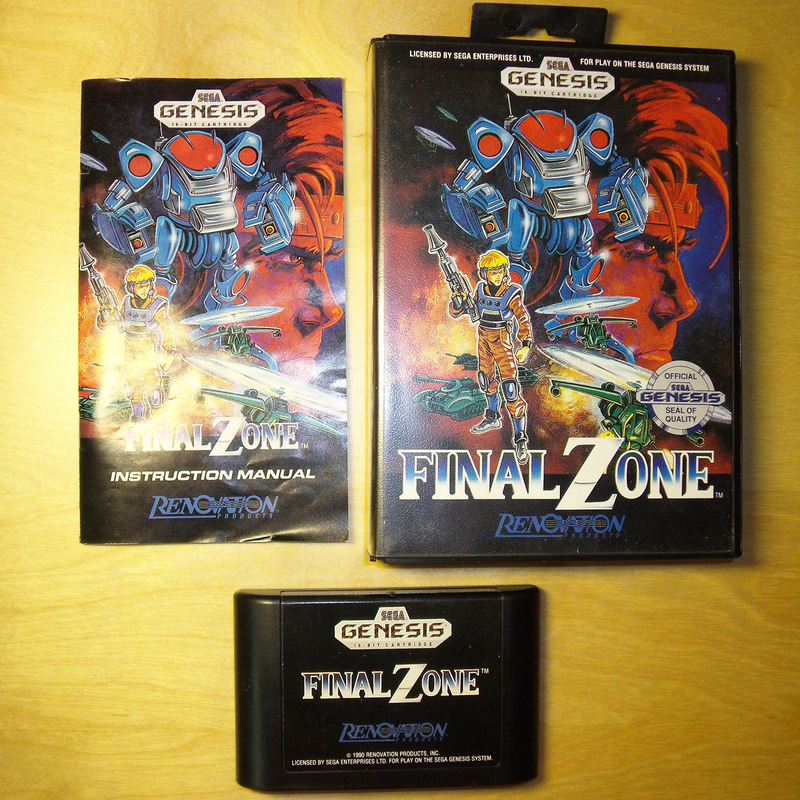 I’ve wanted the Final Zone the Genesis version of FZ Axis for a long while. 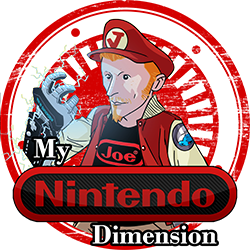 It’s one of the few examples where the Genesis had different artwork but was also good. 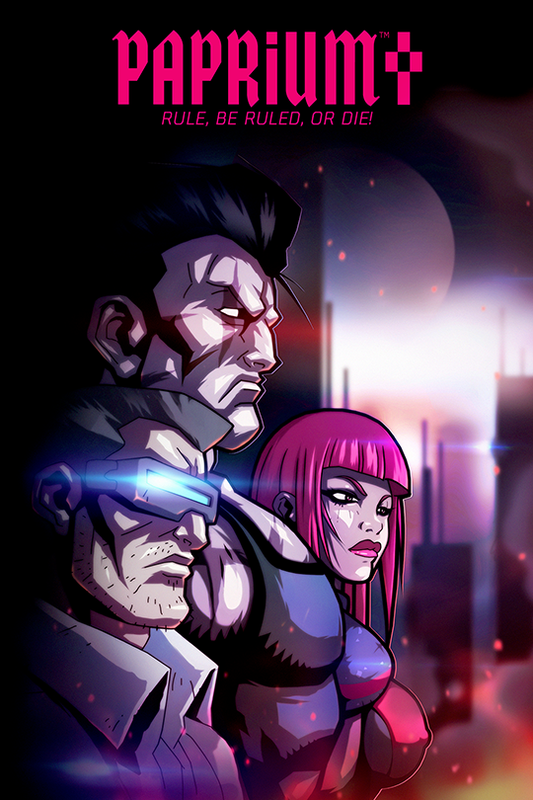 Good game, good artwork and very good condition. It’s a nice one for the collection. 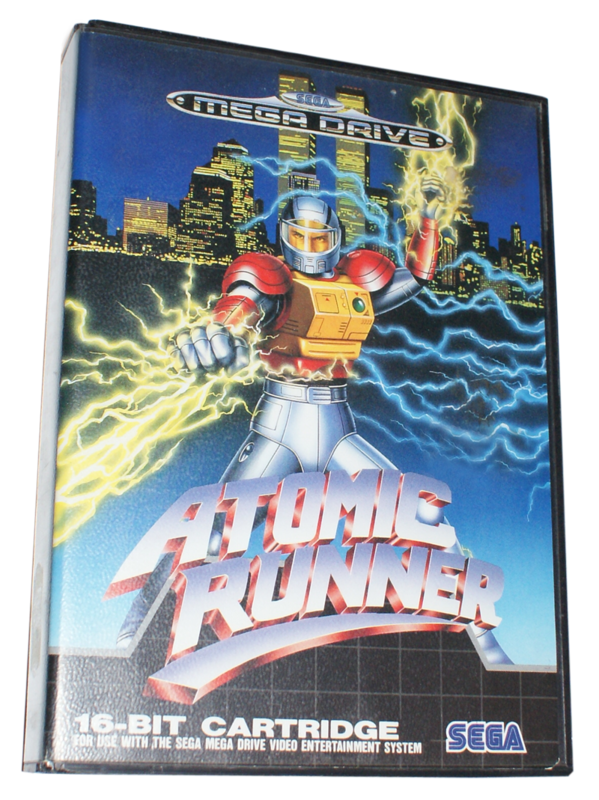 Atomic Runner strikes me as an old style video game that managed to find it’s way to the Genesis. 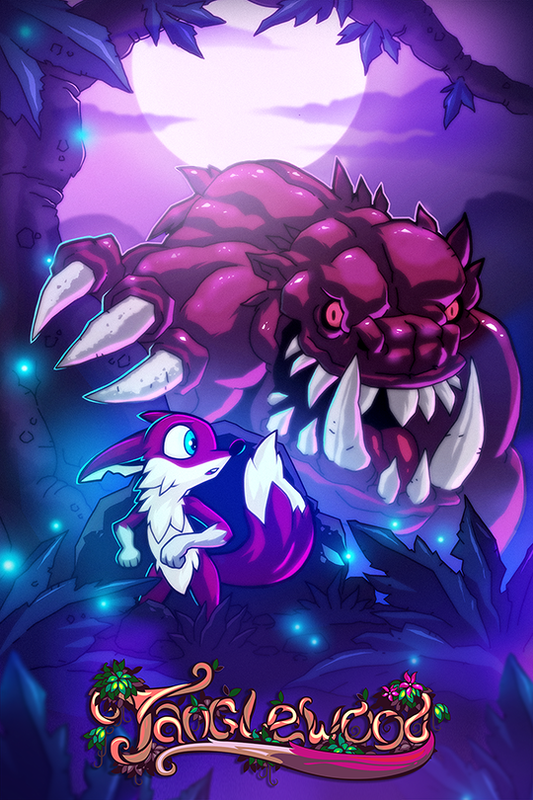 Similar to some of the Wonder Boy games where the levels always move to the right forcing the pace of the game. It’s also a one hit and you’re done game. I played it for a bit and it is very hard! It’s in very good condition and looks pretty good for the collection. 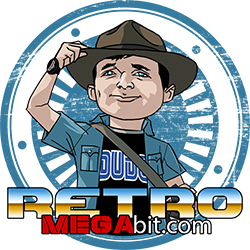 I know stopxwhispering over at retro-video-gaming is getting ready to post a review for this one but I’m guessing she still hasn’t beaten it; which for stopxwhispering is a prerequisite for her review. Good luck with this one! It’s a real challenge. 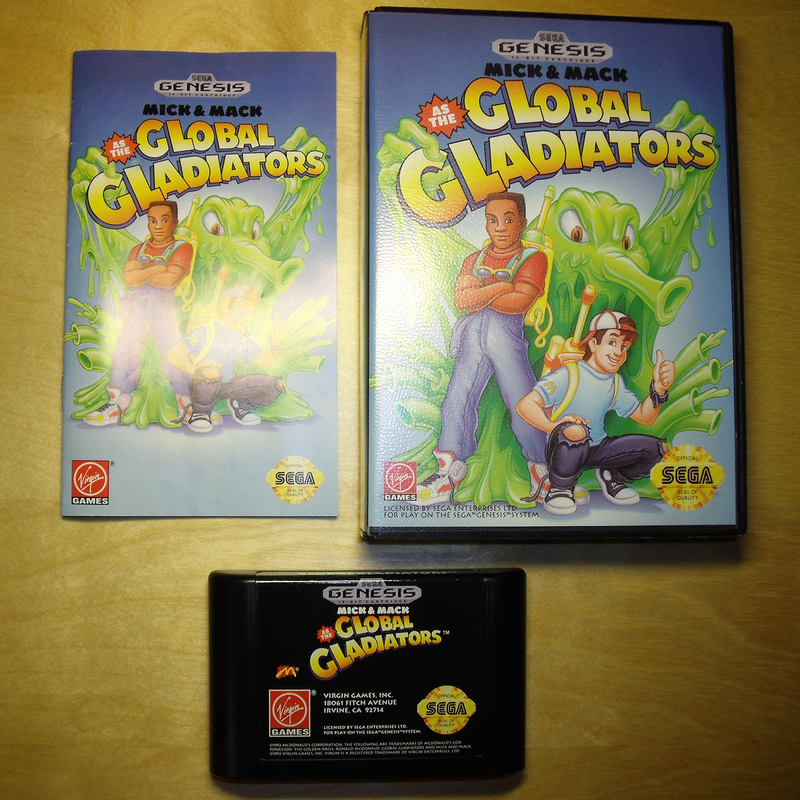 Global Gladiators is a franchised McDonald’s game. I wouldn’t have considered it except it was very cheap, complete and in excellent condition. The graphics are surprisingly good. 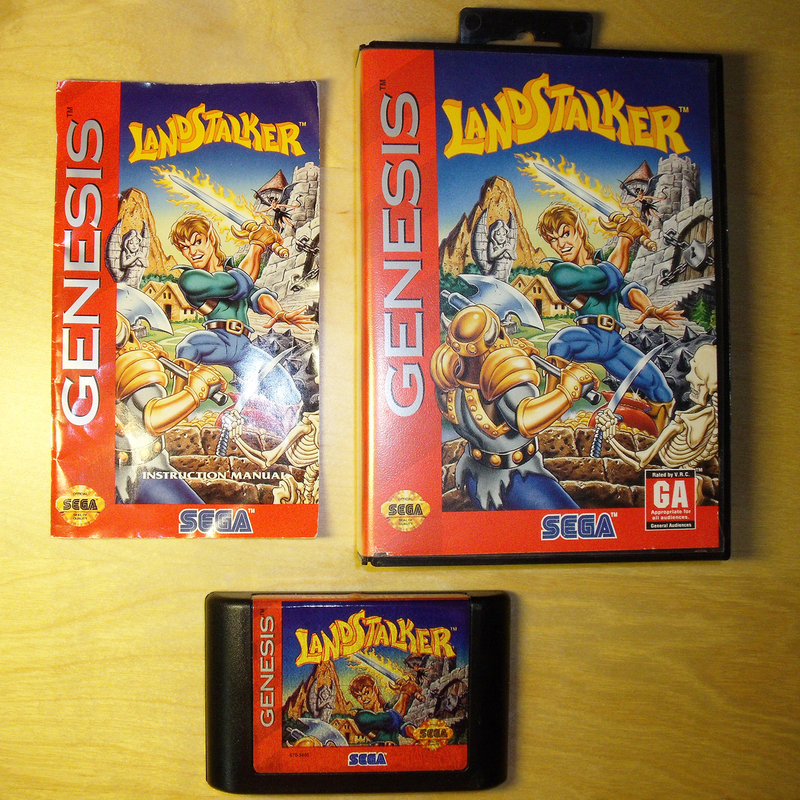 One of my main interests here is Land Stalker and unfortunately it’s not in as good shape as I thought it would be. I’d say the condition is good and I was expecting very good. I went back to the sellers pictures and there is no fault there. Sometimes pictures can be misleading. It’s a very good game but for the money I wish it was in better shape. Batman Forever was cheap and in excellent condition. <– That’s a big weakness of mine. But the game play is horrible. Global Gladiators is much much better. 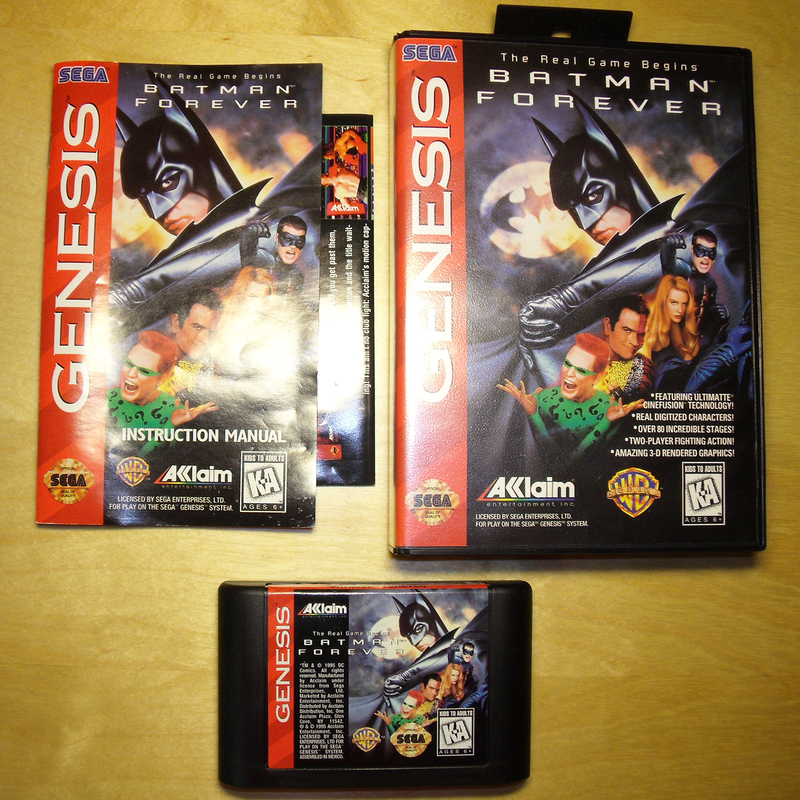 Games based on movies are usually doomed to fail… they just make a sloppy job just to earn some extra cash on the franchise.. never knew there was a Batman Forever game though..
Yeah, Final Zone is a cool game. 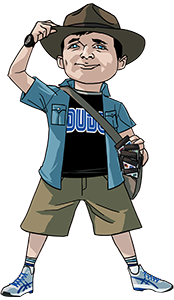 Love the artwork on that one. 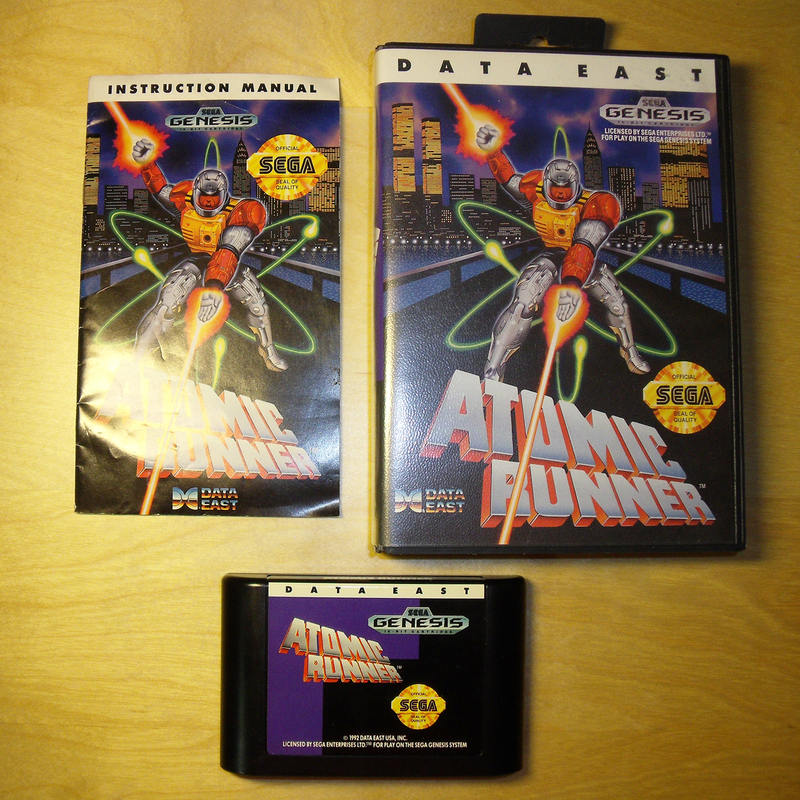 It’s neat to see the difference in the Atomic Runner covers. Both looks good. Thanks for sharing that!